illumina sd anti aging serum Review (2018): Is It Worth Buying? Illumina SD anti aging serum Review: Should You Buy This Serum? Illumina SD Anti Aging Serum is an anti-aging product that claims to be sufficiently potent in improving the overall youthful appearance of mature skin, and is available exclusively online via a limited time free trial offer. About Illumine SD anti aging serum — Does it really work? There is no information available about this product’s makers, neither is there any official product or manufacturer website to help establish critical information about the manufacturer’s sense of accountability for product results as well as the credibility of product claims. What are the ingredients in Illumina SD anti aging serum? 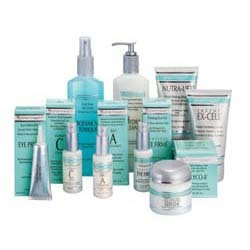 Illumina SD anti aging serum is recommended for use day and night. However, due to its retinol content, it is best to use it in the evening only for you to maximize the benefits of retinol. This ingredient breaks down easily in sunlight and when subjected to heat. Illumina SD anti aging serum is available practically for free by signing up for a limited time free trial offer. 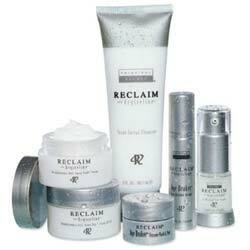 This product is designed and formulated to give you multiple anti-aging benefits in a single jar. There is no information available about this product’s full ingredients list. This product appears to have a very limited distribution network and is available via affiliate marketing websites only. Illumina SD anti aging serum’s free trial offer which lasts for about 2 weeks only, may not give you enough time to really see and experience how your skin responds to this product. The jar packaging makes use unhygienic, and it also suffers the potency of the formula which is repeatedly exposed to open air. 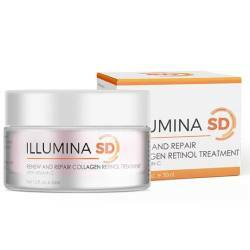 Does Illumina SD anti aging serum have any side effects? In the absence of a full product ingredients list and given the lack of both specialist and user reviews, expect side effects to be likely when using Illumina SD Anti Aging Serum as a precautionary measure. 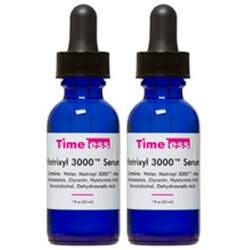 Before using this product, make sure to perform an overnight patch test to check for any allergic reaction you may have against this product’s components. When you notice any, discontinue product use immediately. It is so tempting to sign up for a free trial of Illumina SD Anti Aging Serum. Other than reminding you to read the fine print, you should also consider the risks that you are willing to take in the name of beautiful, ageless skin.